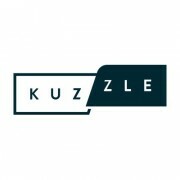 Technology start-up Kuzzle, the open-source backend solution for mobile, web and internet of things (IoT), will launch its latest solution for digital banking at FinTech Connect Live in London. Created to meet the needs of a digital backend solution, Kuzzle says it will enable banks and financial services organisations to deliver a “seamless customer experience and real-time features via their online applications”. These include real-time data processing and collaboration, security and API management services, user authentication, and publish and subscribe engines for event-driven apps. According to Kuzzle, the product has been designed to create unified and seamless mobile and web accounts to appeal to millennials and Gen Xers, who make up almost 72% of digital banking users, according to reports by Aite. Kuzzle plans to demonstrate its new product at FinTech Connect Live 2017, including a pitch on how to boost innovation by enabling “cutting-edge” digital consumer banking services on top of traditional core IT systems within retail banks. Demonstrations will also showcase advanced digital banking subscription and know your customer (KYC) API services recognition.